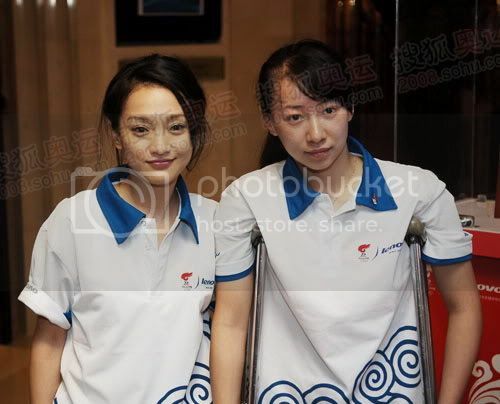 May 22 2008, one day before Olympic torch relay in Shanghai, Zhou Xun and Shanghai Olympic associations had a meeting with media. In the ceremony, Zhou Xun expressed that holding Olympic torch was her honor. When she was a child, she never thought she would have such chance. Everything was ready now, just waiting for tomorrow wonderful moment. Regarding Sichuan quake last week, Zhou Xun said that she often watched news on T.V on these days. After getting up in every morning, the first thing she did was turning on television. Seeing more and more victims, damaged areas, she really felt so bored. This time she was too busy in preparing for Olympic torch relay to join activities of Jet Li's One Foundation in Sichuan. However, she was proud of efforts Chinese Government did to help victims.